Illustration: A pyramid displays different trophic levels in a marine food web. 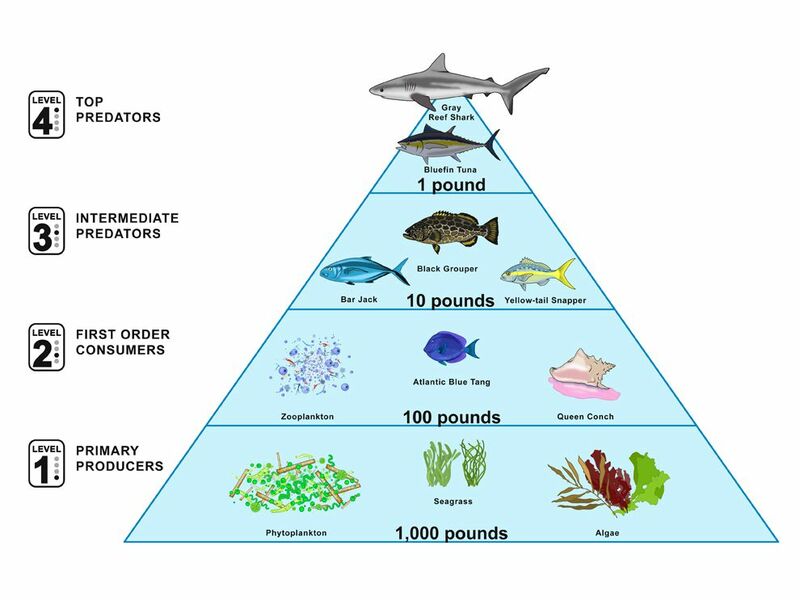 This food pyramid displays a basic marine food web. Organisms on the first trophic level, such as plants and algae, are consumed by organisms on the second trophic level, such as conchs and blue tangs. At the top of the food web is an apex predator, a shark.